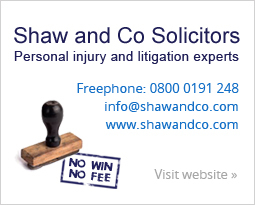 It sounds like a flight of fancy, but if you’ve been delayed on a plane at any time since 2005, you may now, by law, be entitled to compensation. The amounts aren’t trivial, either, possibly £1,000 per family, and I’m swamped with success reports. So strap in, and prepare for the ride. Last October the European Union’s Court of Justice passed a judgment that many consumers who arrived over three hours late at their destination would be due compensation. This clarified a long-standing rule which airlines had previously challenged. As is my wont on such occasions, we quickly put together a MoneySavingExpert guide to test if frustrated flyers with a legitimate case would get the cash. The answer is a resolute ''yes and no’’. Many simply write a letter and within a week or two are sent wads of cash by the airline – yet others hit a brick wall of rejection. It seems binary; there’s little in between. Among the sizeable chunk of people who have succeeded is the gracious older gent who, with his wife by his side, interrupted my filming at a Costa del Sol cash machine (about overseas ATM charges, but that’s a story for another day). He delightedly told me that “We were held up by BA in Miami in 2010”, and that he’d followed the info, banged off a letter and a couple of weeks later received £1,074. The flight can be any leaving an EU airport, or an EU airline arriving at an EU airport – whether these are scheduled flights, chartered, or part of a package holiday. So a delayed Manchester to Miami flight qualifies, regardless of airline. Yet for Miami to Manchester, you are entitled to compensation flying Virgin or KLM, but not on Air India. You can apply for this compensation not just for flights delayed from now on, but any past delays stretching back as far as February 2005. Yet in the UK, due to the statute of limitations, if you need to take the airline to court to get the cash (not too common; don’t be unduly worried), you can only go back six years (five in Scotland), so older claims can be tricky. Compensation for delays is only due on flights arriving three hours or more late. Yet if the delay is due to flight cancellation, compensation should be available – the later you arrive, the more you get. If you’re struggling to remember if your delay passed the crucial three-hour cusp, try flightstats.co.uk. It’s a free site, though you need to register to use it. It’s worth noting the site’s terms and conditions, which say it can’t be used in any passenger rights claims actions, so best to consider it a belt-and-braces check that your memory of the event is correct. After all, the airline will hold its own data on flight delays. For flights with connections, what counts is how late you arrive at the final destination. If you fly to Cape Town via Johannesburg and the first leg arrives two hours late so that you miss the on-time connecting flight – arriving four hours late at your final destination – that counts. However, if you booked those two flights separately, then as the first flight wasn’t more than three hours delayed, and your second flight wasn’t delayed at all, you’re not entitled to anything. You are only entitled to compensation if the delay was something within the airline’s control. Staffing problems, under-booking and not having the aircraft in place all count. But political unrest or bad weather don’t. Of course, remembering the cause of a delay years ago can be tricky. But the airline certainly won’t have forgotten, and will disclaim responsibility if it can. This is compensation for a delay, not a refund on the ticket price. The amount you are due is fixed in euros and dependent on how long you were delayed and the distance travelled. Some airlines will offer compensation in vouchers, but you don’t have to accept this; you’ve a right to cash, as laid out by the EU. The compensation is per person, so for a family of four, quadruple it. If you’re feeling the burn to take on a nagging injustice, here’s what to do. First gather any evidence, including proof you were on the flight, such as receipts, emailed confirmation or, better, the boarding pass. Even if you don’t have all these things, as long as you know the flight number and length of delay, the airline should have passenger logs. Ask it if it has confirmation you checked in – some people tell me they’ve succeeded on this alone. Then write to the airline, quoting the ruling “EC Regulation 261/2004”, listing your delay and the compensation request for each of those in your party. Full help on this and free template letters are available at moneysavingexpert.com/flightdelays. If the airline you flew on has been taken over, it is likely the new parent company took on its liabilities, so write to it. If it’s gone bust, I’m afraid you’ll need to claim off the administrators as a creditor, and frankly that means you’re unlikely to see much back.But if you paid using a credit card and the flight cost over £100, then the card company is jointly liable, so you could try that. In your complaint, briefly explain what went wrong and state what you want in terms of compensation and/or reimbursement. Use our template letters, which are based on information from the Civil Aviation Authority. There is no Ombudsman here, but you can ask the Civil Aviation Authority (or the European Consumer Centre in certain non-UK departures) whether it believes you are entitled to compensation. This ruling isn’t binding on the airlines, but it may be enough to swing the balance to let you push the airline to pay up. If not, the last resort is to take the airline to court. 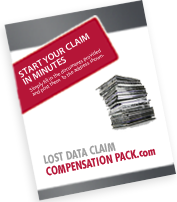 These claims should fit within the small claims limit, so you won’t need a lawyer.